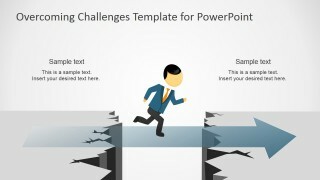 Create an entertaining and effective presentation with the Overcoming Challenges PowerPoint Template. 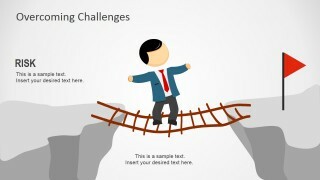 Use its creative vector drawings to illustrate different types of obstacles in the workplace. 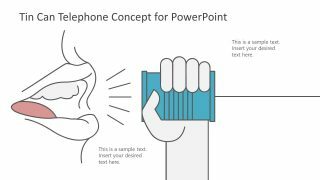 The template can be used as an unconventionally enjoyable illustration of business risks and solutions. As always, investments and markets are unpredictable, and dealing with them involves a great amount of risk. Poor management of risks can result in shaky deals and unreasonable interest rates. 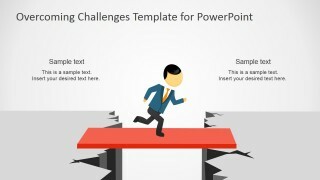 By presenting ways on how to overcome corporate challenges, the presenter can help management identify problems and minimize risks before they become too difficult to handle. 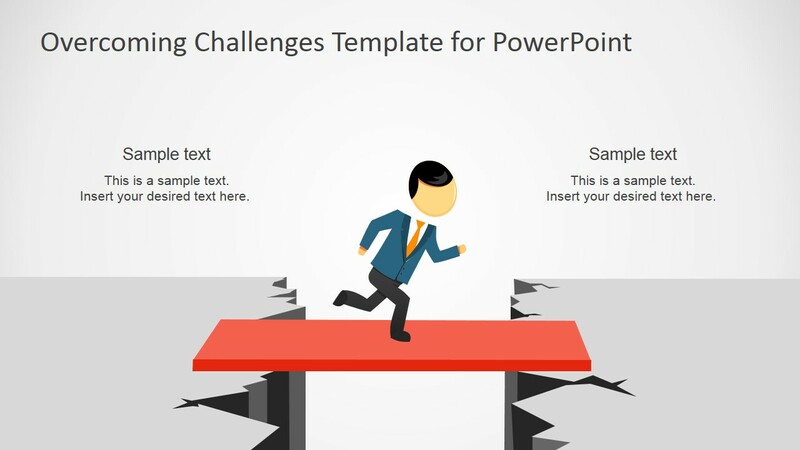 The user may also opt to download other PowerPoint templates from the Gallery, like the Business Case Study PowerPoint Template. 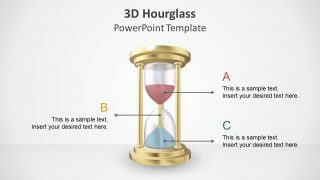 The user can demonstrate this by using the multiple slide designs included in the template. The first of which, showing a character on a solid red platform, can be used to represent the most effective way of crossing the bridge between two situations. One of which involves identifying the problem, and the other represents finding a solution to the problem – thus, the red bridge. 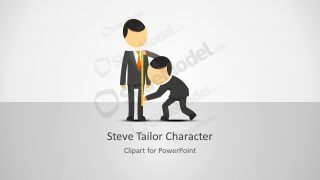 The second slide contains the same running vector character on a semi-transparent blue arrow. The user can use this as a metaphor for facing a problem head-on without considering the involved risks. This type of thinking may or may not result in success. It does, however, increase risks as this involves a great deal of luck. Although luck may be one of the reasons why a business has become extremely successful, it cannot always relied upon, especially when dealing with sensitive and delicate operations. 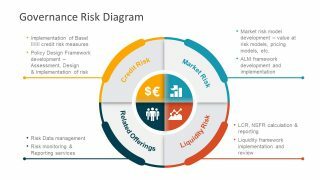 The presentation can also be used to show the importance of mitigating risk. 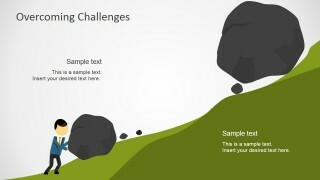 This may be demonstrated using the slide that contains a vector character pushing a boulder on an incline. Although this seems to be a probable solution to the problem, the larger, heavier boulder at the top may only lead the procedure to failure. As such, the user can show how although certain approaches to solving a problem can seem effective, they may become futile when faced with other larger problems. The user may also show how to get out of certain problems when the risks are too high and the process is almost failing. This is illustrated by two vector male characters on a cliff. One of the characters is depicted as helping the other from falling off the edge. 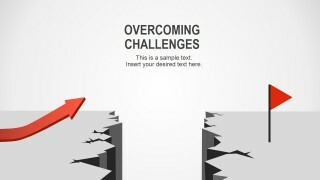 This Overcoming Challenges PowerPoint Template may be used in other types of situations involving problems and solutions. It may be modified to certain specifications to fit the user’s particular needs. 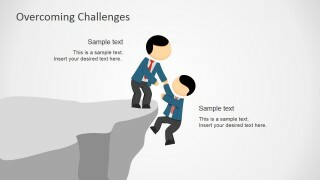 By customizing the presentation, the user can maximize its relevance to the audience and gain better participation.